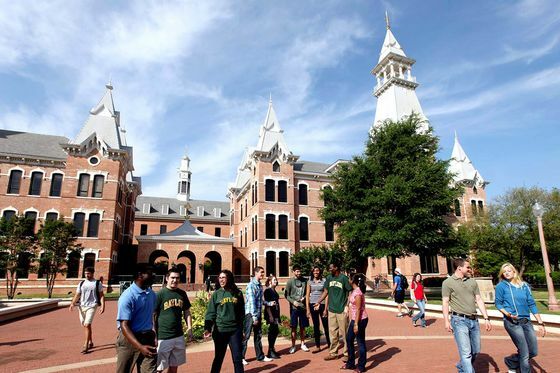 (Bloomberg) -- The University of Notre Dame leads top U.S. schools in admitting the most children of alumni -- 22 percent by latest count. Schools slice the data differently. 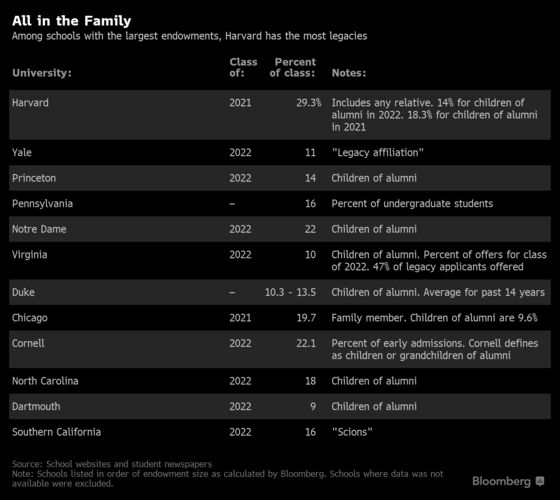 Most call students with alumni family members “legacies.’’ Yale University refers to “legacy affiliation.’’ It said 11 percent of its Class of 2022 falls into that category. Fourteen percent of Princeton University’s student body are children of alums. The University of Southern California calls them “scions’’ -- applicants with a parent, grandparent or sibling who graduated from USC. They represent 16 percent of the USC student body. Harvard University says 14 percent in its Class of 2022 are children of alumni. By another count -- any family ties -- 29.3 percent of Crimson students qualify.